NEW YORK — Last Thursday Feb 20, 2014, First Lady Michelle Obama visited WAT-AAH!’s Taking Back the Streets exhibit at the New Museum in New York City. WAT-AAH!’s Taking Back the Streets launches a collaboration between the brand and 14 preeminent artists that joins street art and children’s health in honor of the Partnership for a Healthier America’s (PHA) Drink Up initiative, which encourages Americans to drink more water more often. The traveling exhibition displays the works of 14 artists: Kenny Scharf, Shepard Fairey, Swoon, Maya Hayuk, Shantell Martin, Trey Speegle, Damien Mitchell, Metro Zu, Lichiban, Tony Concep, VESA, Damon Johnson, MENT and Smurfo. Each artist is showcasing an original piece of artwork inspired by Drink Up’s water drop logo. The exhibition also showcases a special tribute to Kenny Scharf and Keith Haring for their extensive efforts in engaging youth with the arts. 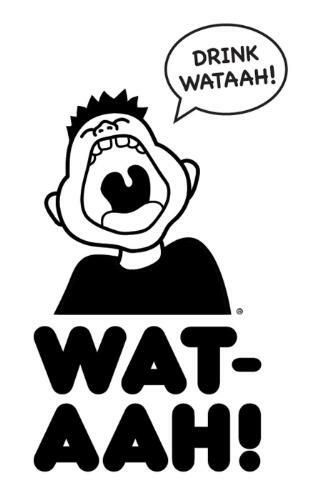 WAT-AAH! selected NYC’s New Museum as the venue for its invitation-only art event which displayed the works of the 14 artists. WAT-AAH! also features the Drink Up inspired artwork on its bottles. 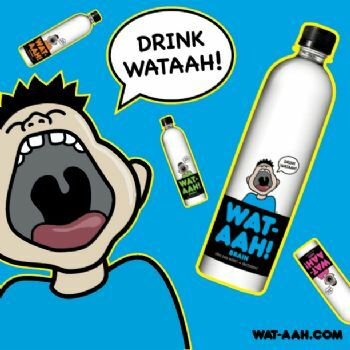 The launch of WAT-AAH!’s Taking Back the Streets is part of a yearlong exhibition that will visit various museums and art galleries starting in New York City then traveling to Washington D.C., Philadelphia, Los Angeles and Miami to use art to deliver the message of healthy hydration. To help this message spread further, WAT-AAH! has hired Berlin Cameron United to work collaboratively with the brand as the strategic and creative agency of WAT-AAH!’s Taking Back the Streets initiative. In New York City, WAT-AAH!’s Taking Back the Streets will continue with a pop-up exhibit for the general public from February 24 – March 4, 2014, at WallPlay (118 Orchard Street (at Delancey) New York, NY. The exhibit can be viewed seven days a week from 11:00 AM – 7:00 PM.